Light FM is an indie pop band from LA by way of Chicago. 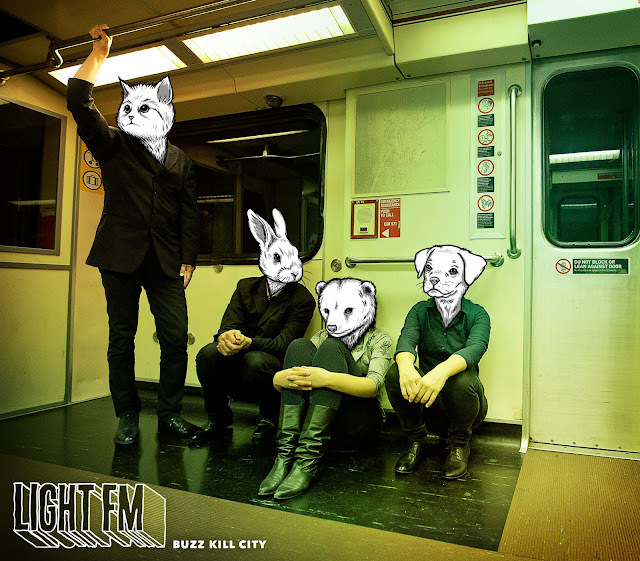 They sent along their forthcoming album Buzz City Kills being released October 1st on Moonboot Records for review and I'm digging it! A nice combination of synths, guitars and catchy hooks. Dig his voice. They are giving away the first track from the record "Mercy" which is a nice example of their sound. Seems buzz from their first self released record 'Let There Be Light FM' got them noticed by The National, Ra Ra Riot, Grandaddy and Billy Corgan who all asked them to play with them. Not too shabby. They will be on tour in the fall opening up for the Smashing Pumpkins. For now listen to/download "Mercy". The opening synth riff on this one reminds me of Fischerspooner's classic track "Emerge".